At the end of the year we’re usually gearing up for personal new years resolutions. This involves anything from health and fitness goals to financial. 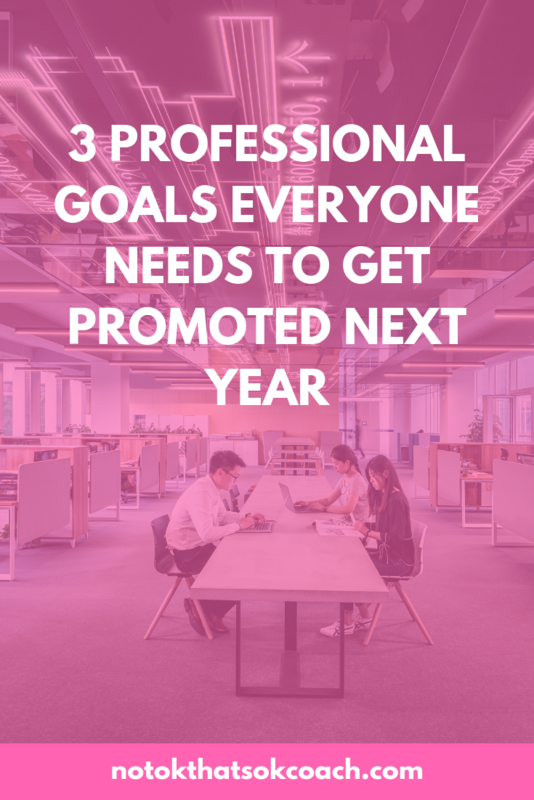 While focusing on these areas can be helpful, what if we took our goals in another direction and started thinking about them from a professional angle? Thinking more about what we do to enhance our career and the careers of those around us for the following year. This goes for entry-level employees, established employees, and managers. This is a great time of year to take a step back, reflect on where we are professionally and strategically plan for our growth and the development of others. Do a walk around once a week. It’s easy to get stuck behind a desk and in meetings and takes a little effort to see what your employees are doing. Making it a point to walk in to each of your employees’ spaces once a week will not only show that you’re interested in what they’re doing but give them a chance to ask a question if need be. You’ll be able to see what’s going on “on the ground” so you can make more efficient decisions and effectively communicate with your team. Ask one question: “What do you need from me?” With this one question, you’re providing an opportunity and space for your employees to ask for professional development opportunities, and additional support. It empowers them to share information they might not have felt they were given the space to do previously. This can be asked during your walk-arounds, formal reviews, or “just in time” feedback sessions. Ask for feedback. As a manager, we’re often giving feedback but are not necessarily asking for it. During a team meeting or one-on-one meetings, bring up the opportunity for your team to give you personal feedback on what you can work on to be a better manager. You can also look into doing a 360 review to get anonymous feedback and analysis and work with a coach to support you through the process. Schedule a meeting with your supervisor. Get a meeting on your manager’s calendar to discuss your career trajectory and professional development opportunities. Take ownership and start the conversation to ensure you’re both on the same page and see what areas you need to improve or be trained on to advance in your career. Help someone. Take a few minutes to help a peer who is struggling with a project or task that you know well. We’ve all needed help with something and taking that step to put yourself out there in their time of need will be much appreciated and you never know, maybe they’ll return the favor someday. Find a mentor. If you already have a mentor, make it a point to have a conversation. If you don’t have one, now is the time to start exploring. Look for someone that you admire their work and ask them to have a conversation. Don’t start out asking for mentorship but build a relationship and see how you can mutually help one another. By having someone you can trust to ask professional questions is important as you try to identify your next step and what skills, knowledge, and experiences you’re looking for. Get coffee with your team. Set up individual coffee chats with members of your team to find out what they do and how you can support one another. When we start a new job, it can feel like a sink or swim situation but if we know who does what and where we can direct questions, it can set us up for early success. We can also find out where our experience can be used to help support other members of the organization. Do an office tour. There are so many functions in a company and you want to make sure you understand who does what and where they do it. Ask your manager or a colleague if they wouldn’t mind walking you around the organization, introducing you to key people, and pointing out departments you’ll work closely with. Talk to your supervisor. When you start you, you usually have a few one-on-one conversations with your boss and you want to make sure you’re taking full advantage of this opportunity. Ask for your 30,60, and 90-day goals, communication method, and schedule follow up conversations. You want to make sure you know what you’re responsible for, how to let your supervisor know that you finished a project, and when and how to ask for help if needed.